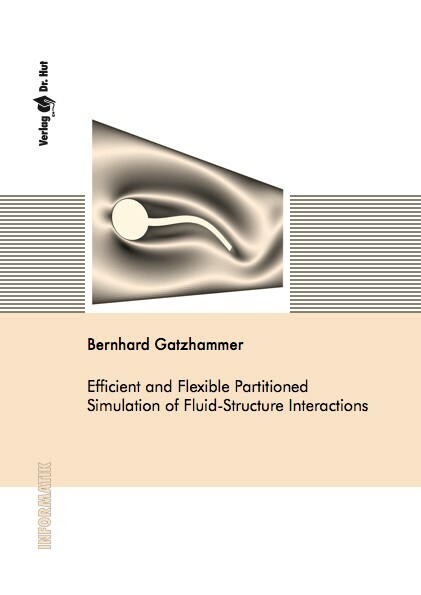 Computer simulations of fluid-structure interaction (FSI) phenomena have become an established branch of numerical simulation, with a wide range of applications in engineering, natural, and life sciences. Due to the integration of additional disciplines such as optimization, uncertainty quantification, or the inclusion of new physical fields such as acoustics or thermodynamics, the complexity of such simulations is constantly increasing. The partitioned approach to FSI, a domain decomposition technique, can be used to reduce this complexity. It allows to couple existing and mature flow and structure solvers by a third unit which gathers and provides all coupling related functionality. A trusted set of algorithms exists for standard problems, while more sophisticated FSI scenarios, particularly those involving incompressible flows, are still regarded as challenging. For those problems more efficient algorithms have been developed recently and are still to be spread among the community. An important observation is that most groups are still developing their own set of application-specific coupling functionality, despite the obvious possibility to reuse existing coupling codes. This work tries to improve that situation by developing and implementing a coupling library that uses validated state of the art algorithms for partitioned FSI. The library is designed to be generic from scratch, treating solvers as black boxes to fully exploit the inherent flexibility of the partitioned approach. Particular emphasis is set on component-based design to allow for simple future extensions and user friendliness to foster acceptance by FSI application developers. Computations of benchmark and application scenarios validate and show the potential of the implemented functionality.